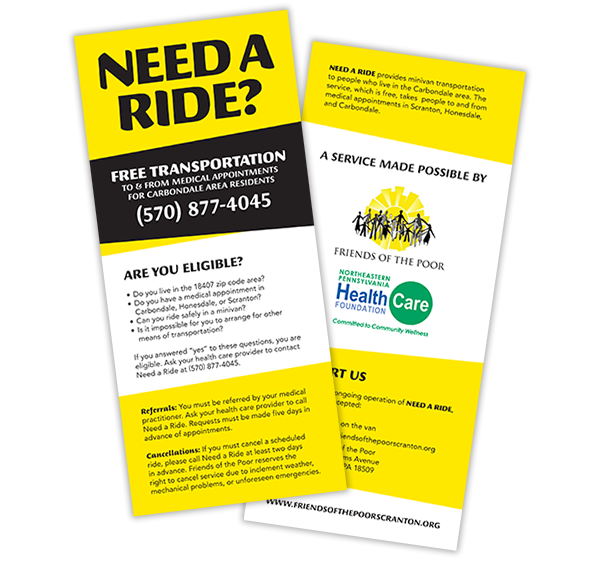 Friends of the Poor is an integral part of the community in NEPA and we are proud to help the organization by designing rack cards for their new free transportation program. Inspiration for the cards was taken from the organization’s logo. Then, we used bold, yellow trapezoids to draw attention to the key information on the cards.